Looking back, the last thing the comic industry would want to have happen is everything about the 90’s. 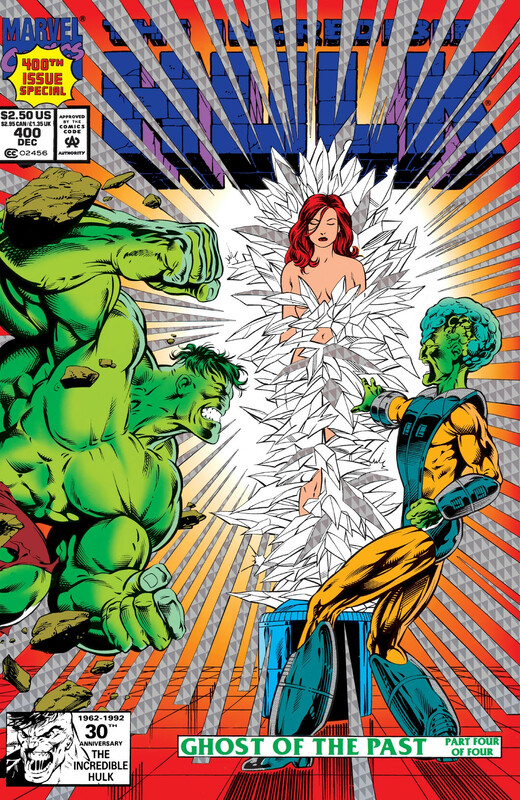 While I’m sure some could make arguments for other periods, the 1990’s in comics were – in my opinion – undoubtedly the worst period in the history of comics, leading the industry down the drain and almost into ruin. It was a time of excess. Of speculation. Of foil covers. Of comics being collectables. Yet here we are in 2014, and the 90’s? They’ve been back for a while, and no one bats an eyelash. Does this mean our current upswing is the calm before the storm? Are comics, as an industry, doomed to suffer the consequences for not learning from the past? Or are we in a new, more sustainable place than in the past? Before we get into answering these questions, let’s look back on the 1990’s and figure out the answer to another question: why did the 90’s go so poorly? After all, in my mind, there was a lot to love then. I was seven years old when Chris Claremont and Jim Lee’s “X-Men” #1 came out, and I was the kid in my school that had every cover. It blew my mind that you could connect those covers to make a full picture of pure awesomeness, as it did to a lot of people then. That’s a pretty great way to sell four copies of one comic to a person, which led to that one comic – one comic – selling (according to the Guinness Book of World Records) 8.1 million copies. Worth mentioning: Batman #27 led the charts in January 2014 with a bit over 115,000 copies sold. In 1992, there was a parade outside of my local comic book shop in Anchorage, Alaska to celebrate the life of Superman after he died – tragically – in a fight against Doomsday. I was part of it, celebrating with a stack of polybagged copies (one to read, a number of others to collect, all out of my very limited allowance) and kazoo in hand. I remember “X-Men” #25 – you know, the one with the hologram on the cover as part of “Fatal Attractions” – arriving, and being haunted by Magneto taking Wolverine’s adamantium skeleton out in response to the X-Men’s assault on Asteroid M. It, to my 9-year old mind, was about as heartwrenching a moment as you could find, and I needed multiple copies of that just in case my hologram was damaged to eternally crystalize that moment. Odds are, if you go to any average pawn or antique shop today, you’ll find a stack of comics. You’ll probably find two, or maybe all three, of the aforementioned comics in each and every one of them. While childlike glee was driving my purchases, there were others who were looking at comics as the latest and greatest in collectable crazes to capitalize on. While maybe not on the levels of insanity as Beanie Babies, which are maybe the greatest example of a collectable’s bubble bursting, comics were targeted as not a creative, narrative medium, but as a product that could be flipped for the purpose of making money. And publishers, like Marvel, like DC, like Image and Valiant (two new guns in the industry at the time), rode that wave. 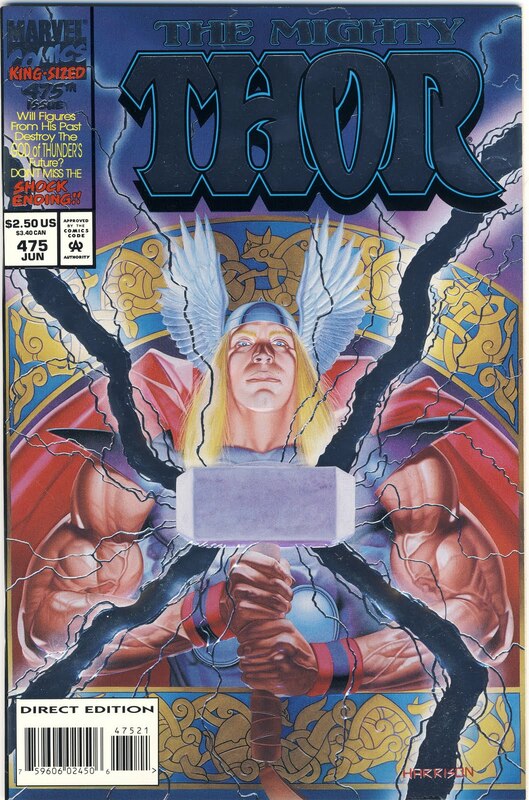 They produced variants, foil covers, chromium covers, holofoil covers, polybagged copies, polybagged copies with commemorative cards inside, and they sold. They sold and they sold and they sold. But like any market fueled by a speculative bubble, it wasn’t a question of if the bubble would burst, but when. There really wasn’t any intrinsic value to a copy being polybagged or not, yet while the demand was there, it drove up that value (however artificial it might be) and created a bubble. Eventually, supply dramatically surpassed demand, and everyone suffered. Marvel filed for bankruptcy in 1996, retailers across the country who recently had just been raking in cash thanks to the bubble closed their doors forever, Valiant and (to a degree) Image faded from their great heights, and the comic industry in general went through a time where many wondered whether or not there really would be a future for it. Those were the big reasons for the collapse, but others have noted ones beyond that. Sean Murphy, one of the absolute finest creators in the industry today, frequently writes brilliant pieces of analysis about the comic industry on his DeviantArt journal. Recently, he wrote a great piece that served as a response to my “Comics and the Diminishing Role of Artists in a Visual Medium” article from last week, and in it, he laid out five ways for artists to stop being diminished. -Artists ran the show in the 90s, and look how that turned out. You want artists in charge? Because I don’t. Somewhere in the middle is best. What Sean is saying here is the ascent of comic artists to being the dominant figures in comics contributed to the downfall of the industry, and that’s a fair statement to make. Things like Stephen Platt making $40,000 per frequently late issue were certainly endemic of a time of excess. But I think that puts more weight on the artists than where it really belongs, which is with those who were following completely unsustainable business practices. The 1990’s nearly killed comics not because they were particularly bad comics (there was a lot of good in there that people forget about) or because style overcame substance or because artists seized control of the industry for a time, but because the people who were making decisions then couldn’t see that they were chasing fiction — a fiction that led the industry into financial ruin. The average reader probably doesn’t know this, but the comic industry is on sustained upswing. Even though January 2014 was a bit of a down month, when you look at sales as compared to years past, things are looking all kinds of sparkly. As per Comichron, January 2014 was +24% over five years ago in total sales, and +78% when you compare it to ten years ago. While it is worth noting that comics have also seen a rather steep increase in cost since those times, that, my friends, is completely dynamite news for an industry that once was being read its last rites. But when you look across the industry, you start noticing some things that might be propping up the industry in the way that those variants and special covers and collectable editions once did in the 1990’s. You know — those variants and special covers and collectable editions that are all the rage again today. The biggest example of this, recently, is September 2013’s “Villains Month” endeavor at DC. This month of villain-centric titles led to DC’s only across-the-board wins over Marvel in 2013, and it was fueled not by fearless, progressive comic book storytelling, but some totally rad lenticular covers they were releasing. This endeavor was the success story for DC in 2013, even though Villain’s Month was widely considered creatively bankrupt and completely mishandled from a retailer standpoint (both of which Brian Hibbs notes in great detail). What does this success tell DC? I hope you’re ready for some more gimmick covers, folks, because we have at least the steampunk variants (?!) this month, with something almost certainly coming in September (DC’s month to bust out the bag of tricks, it seems) for speculators to latch onto. Marvel, not one to be left behind, quickly announced an acetate cover for the Wolverine centric “Origin II” #1, which – predictably – led that title to the top of the sales charts in December. Variants are omnipresent these days, and it’s things like that (and newer ideas like TV and movie deals) that have led to a resurgence of the speculator market. It’s become so significant again that Rich at Bleeding Cool, ever the trouper, regularly covers hot speculator titles at his site. We’re not seeing the speculator boom only at Marvel and DC, though. Books like “Rachel Rising” and “Peter Panzerfaust” have seen temporary and massive spikes in terms of prices their #1’s were selling for, although sadly they have not received an additional and continued increase in present day sales. It’s not just the collectable nature of comics from the 90’s that has come back, but we’ve even seen the return of 90’s storylines (I will not be walking in a parade when Superman is killed by Doomsday again!) and prominent figures from the time such as Bob Harras and Scott Lobdell. The 90’s are certainly back, but that’s not all that is pushing sales upwards, as the industry continues to capitalize on the collectable nature of the medium. Marvel and DC have both discovered that there is no better way to boost the star of a title than by restarting it. To give DC credit, though, they only did it once. In September of 2011, they completely rebooted their line as part of the New 52 endeavor, all of which received massive amounts of attention from mainstream media sources and towering sales numbers upon arrival. Marvel, naturally wanting a taste of that sweet, sweet success, unleashed their Marvel Now! endeavor, relaunching the majority of their titles, and since have so fallen in love with the idea that they are seemingly relaunching whenever the creative team changes on a book (and sometimes that isn’t even important, as seen with “Daredevil” getting a new #1). Hell, a book doesn’t even need to be a number one to be a number one, as they’re putting massive #1’s on books that just start new arcs, as you can see in last week’s “Thor: God of Thunder” #19. New number ones aren’t enough though. Marvel’s incessant double shipping, first seen – you guessed it – right around the launch of DC’s New 52, has also propped up their sales, keeping them in the top spot on the charts not through noticeably larger sales, but by producing their most popular titles more often. Certainly not a bad business practice, as it has worked (for now), but like with those variants and those speculator centric titles straight from the 90’s, you have to ask: is this all sustainable? 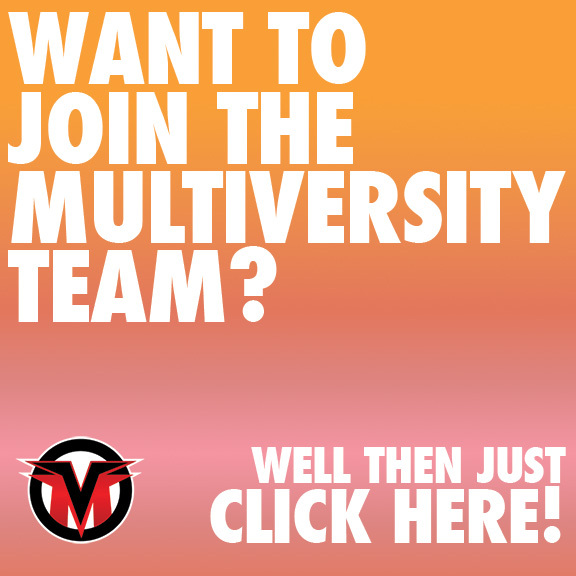 While we haven’t seen it in a significant number yet, I can say anecdotally that Multiversity readers do frequently lament the double shipping schedule and the incessant #1’s and .NOWs. At what point are these titles ordered en masse by retailers, and then they’re just stuck with the stock because readers say enough is enough? That’s the million dollar question though. Will that bubble, fueled by 90’s like tactics and tricks a new generation have figured out, burst once again? It’s easy to say comics are in a stronger, more sustainable place than before, and another thing to prove it. I’m not sure I can do just that, but I can share why I think things are different today than they were when the industry nearly perished, and why the industry won’t come crashing down because of a few bad decisions like before. Let’s break those reasons down using my favorite crutch in writing: the numbered list. Success can mean a lot of different things, depending on who is defining it, when it is defined, and how it is defined. You wouldn’t think of it as a variable, but it most definitely is, and today, success in comics is a much different thing than it was in the 90’s. January 2014‘s top selling comic: Batman #27, at an estimated 115,492 copies ordered. January 1997‘s (note: this was the first January Comichron had full estimates available) top selling comic: X-Men #62, at an estimated 196,041. Not a massive difference, but in the 1997, there were 15 titles that had six figure sales, while this past month had only Batman reaching that level. Because of a change in scale and pricing, comics are proving sustainable at a far lower level of sales than they were in that period. The industry then couldn’t carry a title like “Quantum & Woody”, even though it was a simply fantastic book. Today? “Quantum & Woody” is back and it is one of Valiant’s biggest hits, and because of the way the comics internet behaves, it isn’t one of comics great unheralded gems like before, but something that has a strong, passionate following. The last issue of the original “Quantum & Woody”, according to Comichron, only sold around 200 less copies than the most recent issue of today’s iteration. Collections are far more important than ever as well, and a book can succeed with middling sales because it could perform far better when it gets into collected formats, and in the best of cases, its collection sales can act as an impetus for sales being driven up for the monthly release. “Saga” is an amazing example of how different the industry is today. I don’t think people realize this, but a comic increasing in sales as it moves along is akin to seeing a leprechaun riding a unicorn over a rainbow to actually finding a pot of gold at the end of it, especially when you consider there is no TV or movie deal elevating it. Let’s look at Saga’s sales for issues, so far. Sales have leveled for “Saga” in recent months, but the way it has been released – monthly issues leading to a completed arc, a break with a trade paperback release during that time, repeat – has allowed it to not require fill-in artists and for it to find new readers from those who have read the collections. Others have emulated this release schedule, and while it isn’t some magic salve that pushes sales up (having Brian K. Vaughan and Fiona Staples on your book helps a lot, it seems), it has proved creatively and commercially fruitful. As fondly as I look back on comics in the 1990’s, with books and events like “Impulse” and “Age of Apocalypse” still being personal favorites to this day, I think it is inarguable that comics aren’t in a much better place today, quality wise, than they were then. In the 90’s, really the only place you could find high quality, well-crafted comics on the regular in comic shops (by that, I mean your Average Joe comic shop, not more forward-thinking, independent ones) were from Vertigo Comics, the DC imprint. “Preacher”, for one, was a book that was hugely influential on me as a reader, as it introduced me to a whole other side of comics that I wasn’t privy to before. There were many other books that were driving the quality of comics upwards then, from “Bone” and “Strangers in Paradise” to “Cerebus” and “Concrete”, but they weren’t necessarily easy to find. In today’s much more expanded niche of comics, you have your pick of the litter. Image, at least in my mind, has replaced Vertigo as the place to find high quality comics on a mass produced scale, as they’ve gone from releasing what were effectively approximations of superhero concepts in the 1990’s to a diverse, expansive line that has something for damn near anyone. Look at January’s Image Expo, which featured dark horror titles, sprawling fantasy stories, educational all-ages books, and even the rare superhero release. It’s not just Image, though. Publishers like Dark Horse, IDW, Valiant and more are producing regular, high-quality content that is easy to find at any local comic shop, and you can walk into your average book store and pick up brilliant books like Gene Luen Yang’s “Boxers & Saints” and Nick Abadzis’ “Laika” without any real difficulty. We’ve come a long way from a book store employee literally laughing in my face when I asked if they had the complete collection of “Bone”, before snootily responding “that’s a comic, we only carry the graphic novel ‘Maus'” (note to bookstore employee: they are both comics). While I’m not getting into DC, who I think from a quality standpoint is in a worse place than ever, Marvel is producing far better content than they did in the 90’s as well. Sure, they have occasional misfires like “Age of Ultron”, but books like “Hawkeye” and last week’s “She Hulk” are amazing examples of the quality of their line. If anything, one of the biggest differences between today’s comics and the comics of the 90’s is that today, they are taken more seriously as an artform, while in the 90’s, they were looked at as products first. I can’t underline that difference enough. Some would argue that TV and movie adaptations have not impacted the sales of comics dramatically, and while I’d agree with that to a degree (particularly when it comes to Marvel and DC adaptations), it’s hard to not look at a few specific examples and say that it isn’t a factor. The first and only real example you need is “The Walking Dead”. I’m not sure if you’ve heard of it, but it’s a pretty popular show on AMC about zombies and what not. In fact, depending on what metrics you look at, you could make a case that it is the most popular show on television right now, and somehow it just keeps getting more viewers. In this case, the popularity has shifted to the comics as well, as you can see below (all stats from Comichron, as per usual). Right around issue #78 was when the show premiered, and since, sales for the monthly comic have nearly tripled (and often more than that). That’s not even factoring in the collection sales, which routinely take the top spot of the charts, as well as many of the other slots around it. It’s not just existing comic fans who are driving up sales for “The Walking Dead”, it’s worth noting. Once while in my local shop, a couple were flipping through recent issues of “The Walking Dead” and intermittently noting things like “Carl doesn’t have an eyepatch in the show! This comic is wrong!” before I guided them to collections of the book, which they promptly purchased every copy of. “The Walking Dead” is the biggest game in comics, and while its sales impressively gained on its own two legs, the biggest factor in it becoming the mega hit it is today was the TV show. “Watchmen” was another book that saw a huge uptick in sales thanks to its adaptation. As was noted in this article at Hero Complex, DC printed more than 1 million copies in 2008 (the year before the film was released, but after the trailer was unveiled), compared to just 100,000 in 2007. Other books, like Marjane Satrapi’s “Persepolis”, have seen far greater sales and wider consumption, thanks to its release as a successful (and Oscar nominated!) film. Marvel and (continuity driven) DC titles haven’t seen the same benefits from films that these other have, and it’s easy to see why: a person who watches “Watchmen” can go pick up one volume that has the same name, but where the hell do you start someone who liked The Dark Knight or The Avengers? It’s a pretty difficult proposition, but the potential is certainly there for films and TV to push sales upwards, even for Marvel and DC. While you could say that there is nothing less sustainable than sales driven by other mediums, like movies and TV, it’s obvious that these adaptations are not going away any time soon, which is inarguably great for the industry. In the 90’s, one of the biggest drivers in creating the bubble in comics was the idea of scarcity. Scarcity, in terms of a market like ours, is simply when demand greatly outweighs supply, and when that turns upside down is when bubbles tend to burst. Thanks to the rather infinite nature of digital comics, scarcity – at least artificial scarcity – is not really an issue today, which tempers the burn for the speculation market and allows those who are buying comics simply to read them (the ideal form of comic purchaser) the ability to get them no matter what. That, my friends, is a very good thing. There was a whole lot of concern about the idea that digital would cannibalize print comics, but so far, it hasn’t done anything of the sort, instead acting as a complement to the direct market and a previously non-existent secondary revenue stream for comic publishers. Not only that, but digital comics open the marketplace up to readers who otherwise couldn’t read them because they live in towns that do not have a comic shop. Even more exciting, groups like Panel Syndicate diligently ensuring that their comics can be read in many different languages have helped push Marvel to open Marvel Global Comics, an app which provides readers with Marvel Comics in – as of yet – 12 languages. Being able to reach previously untapped markets via digital could bolster and expand the comic book market more than any marketing gimmick ever could, and certainly in a more sustainable fashion. Digital comics really are a wonderful, magical thing, and as they evolve they are becoming better and better at filling the gaps of comics as a print medium, and strengthening the business model as a whole. The one remaining big question about digital comics, of course, is how successful have they been? We know that after meteoric, triple digit growth in years past, 2013’s increase flattened a bit (but were still up double digits! ), and that publishers like Image have reported that digital now makes up a not inconsiderable percentage of their total sales. As a complete and utter numbers nerd, the lack of shared information about sales of digital comics is maddening, but really, there is no purpose for publishers to provide that information, and I doubt we get it any time soon. It would help paint a more complete picture of where the industry is today, however. Either way, they have been a boon to a largely print driven industry, and while the overall revenues are still small compared to print, it is a growing aspect of the business that was unavailable when comics faltered in the 90’s. It’s not necessarily a new thing that they do, but from a purely quantifiable standpoint, not only do women – not “fake geek girls” or whatever weird things you want to say about women fans – read comics, but they are making up an increasingly large portion of the audience. You want examples? Okay. According to ComiXology, when they first opened their online, theoretical doors, women made up 5% of their total users. Today? That number has increased to 20%, and I don’t need to make a chart with a trendline to tell you that number is likely increasing still. Brett Schenker, political consultant by day, comics blogger by night, has also done the yeoman’s work of putting together a gender-centric study on comic based keywords on Facebook to come up with the statistic that 40% of comic fans – on Facebook – are women. Women surely read comics in the 1990’s as well, but because of a few big dominoes falling – Manga’s influence (as Brigid Alverson notes in this article), the advent of digital comics – they are flocking to the medium more than ever. You could make a big argument that the reason women weren’t reading before had a lot to do with how comic retailers and the atmosphere they create often treats women readers, as Noelle Stevenson recently shared in comic form (and many others had before). Digital comics provide a more harassment free way for women to purchase comics than the often exclusionary retail market (note: there are many shops that treat women readers just fine), and the proof is in the numbers, like ComiXology’s stats have shown. The amazing thing about women readers, is – according to ComiXology again – much of their increase is coming from a whole new young audience, something else that has previously been considered as an impossible to reach market. Just like with my digital point and the global and rural expansion that has provided, giving women readers a safe haven for purchasing comics has certainly been a blessing for the industry, and any moves the industry makes to cultivate that audience only further insulates it from tragic pitfalls like the one in the 1990’s. Those are, to me, the five biggest points why we won’t see a similar crash like we did in comics in the 1990’s, but as with any subject, there are many, many other reasons that make this situation different, even though there are so many aspects that make it look the same. It’s easy to wonder, in this boom time in the industry, whether or not the lessons comics clearly didn’t learn the last time might come back to haunt them and ultimately lead us to dark times again. But we’re in a better time and a better place than before. Much of the evidence generated over the past few years of increased sales and interest indicates that this isn’t a bubble period, but a time of sustained growth. The amount of comics and quality of them are at an all-time high, and you can buy and read them with the greatest of ease if you have a computer, tablet or smart phone and an internet connection. Thanks to digital and print shops carrying more diverse titles, they are easier to share than ever, and with that comes a whole lot of potential new readers. To paraphrase Anton Ego, anyone can read comics. Not everyone will love them, but a new comic fan can come from anywhere. And that is amazing. Sure, aspects of the industry’s present may be emblematic of our past, but there is so much to love about and be inspired by today in comics. Let’s focus on that as we hopefully continue onwards and upwards into a new era of comic book prosperity. 2014 Comic Sales: A Sign of Things to Come, or Much Ado About Nothing?